In 1997 a group of women got together to share in the sport of fishing, family, and helping others. Our club consists of women from all walks of life and all ages ranging from 21 to 65, we are the only women’s salt water fishing club in the Lowcountry. The Carolina Lady Anglers have been featured in newspapers and magazines. Our club includes various experience levels from beginners to women who are avid fisher women! Our members have fished ponds, lakes, seas and oceans all over the world. This fishing club gives us the chance to unwind, relax, have fun and share some great fishing experiences. 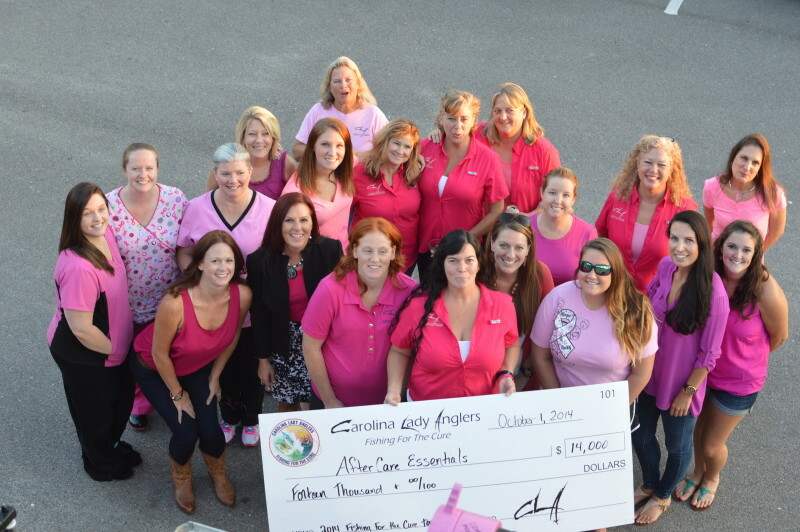 The mission of the Carolina Lady Anglers is to raise funds for breast cancer, foster conservation, fellowship and good sportsmanship among its members and individuals; to promote education of marine resources among our members and the general public; to promote the family through the enjoyment of our marine resources; and to promote saltwater sports fishing of all kinds. We are a group who raises money for breast cancer patients. We are a non-profit, 501(c)3!